This past Tuesday I reconnected with my old friend Jon, whom I used to work with a few years back. He as always been interested in a variety of fitness related activities, but recently has worked to become his best. 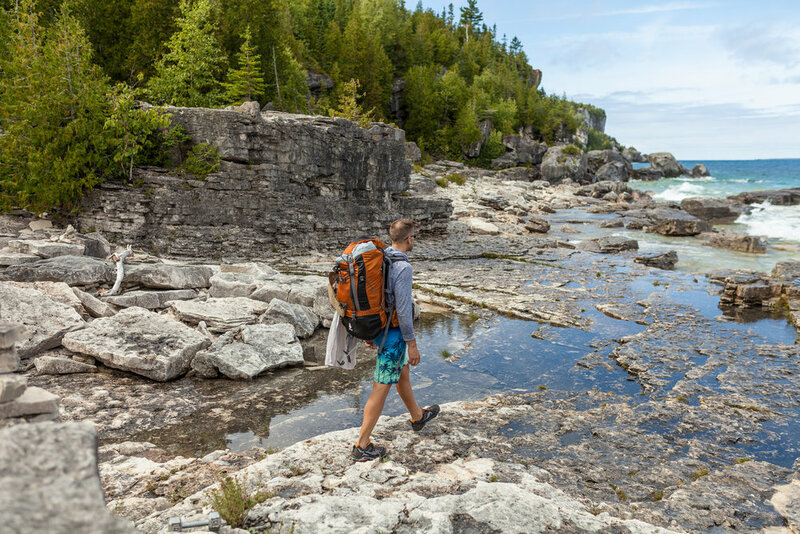 We headed to the Bruce Peninsula near Tobermory, Ontario to document his achievement. A few weeks back we met for a coffee to throw some ideas around. I happened to be wearing my Tobermory t-shirt that I picked up a few weeks earlier, and it quickly became the centre of our conversation. Jon frequently visits the area and knows it like the back of his hand. He took me to his favourite spot where we shot a variety of poses and ideas. The weather started out decently warm with little wind and overcast clouds. I actually favor this kind of ambient lighting to stay consistent with my style. Toward the end of the shoot the sun peaked out and gave the shots some punch. Tobermory is approximately a 3 hour drive from where we live, it made for a good opportunity to catch up with each other. We have already discussed the possibility of doing another shoot soon, possibly with imaginative costumes. Stay tuned, hopefully more on that later. Sometimes I feel like sharing my thoughts. I’ve tried posting on other websites separate from my main one, but I’ve decided to bring it all together.